The Harvard Rugby team that won the TT Rugby Football Union league final. 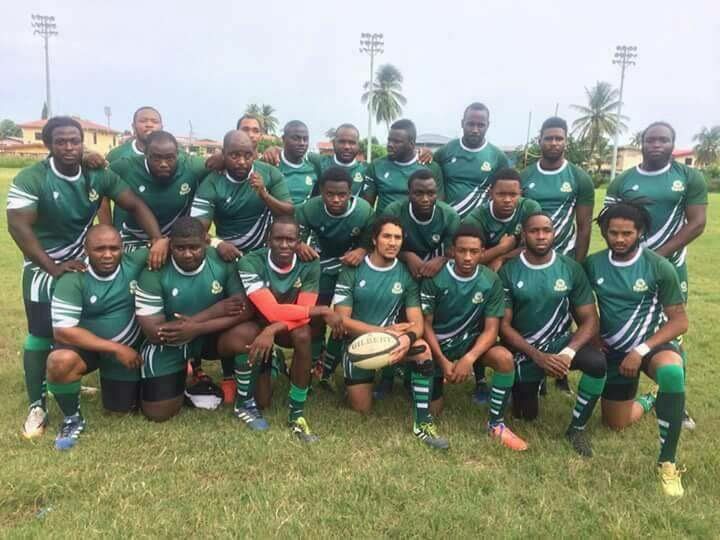 A strong second half performance by Harvard led the club to an emphatic come-from-behind 29-15 victory over Trinidad and Tobago Northern in a tale of two halves in the TT Rugby Football Union League final at the Carib Ground, Queen’s Park Savannah, on Sunday. Harvard took a 5-0 lead after a try, but back-to-back tries by Northern turned the game on its head with Harvard now trailing 5-10 at halftime. Harvard, inspired by a pep talk from their coach Jerry Legall, were the better team in the second half and opened a 29-10 advantage. Northern got a consolation try at the end of match to reduce the deficit to 29-15, but they made no further inroads as Harvard clinched the title. Harvard captain Joseph Quashie, speaking to Newsday yesterday, attributed their success to all the training paying off. “It feels ecstatic (to win the title), it feels great because we have been training for it for a long while with hard work. The last time I think we won was 2012,” Quashie said. After trailing at halftime, Quashie said the team had to change their tactics. “At the half, the coach and myself pulled together and we made some tactical changes. We brought on two of our props halftime that we saved because we knew the other team could not last the whole game based on fitness. Quashie credited his entire team for the effort, but said Ryan Hinkson and Wayne Kelly performed at a high level which helped bring home the title. Reply to "Harvard’s ‘hard work’ helps clinch Rugby League title"